To reduce, as economically and technologically possible, the environmental impacts associated with the use of products and equipment utilized during the cleaning of interior spaces. Cleaning for health without harming the environment. Environmental stewardship: shared responsibility among building management, occupants and building service providers in reducing impacts on health and the environment. Green, healthy cleaning to provide a safer, healthier environment that promotes productivity, decreases absenteeism and increases feelings of well-being and comfort for building occupants and employees. Sustainable policies and procedures to insure continued programs that promote healthy cleaning and reduced environmental impact. Our first account (which we still service today) was 1325 East-West Highway, a 285,000 square foot commercial office building and headquarters to NOAA (National Oceanic and Atmospheric Association) in Downtown Silver Spring, Maryland. Pioneer has grown from a small service provider operating one account into a midsized contractor with 90+ accounts stretching all across the Washington Metropolitan Area. 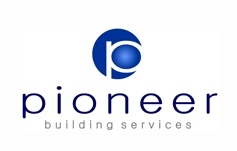 At Pioneer, every client is unique and special. Our focus is to grow each relationship and account, one at a time. We remain committed to building on our culture of excellence for the benefit of our clients, our employees and our buildings.